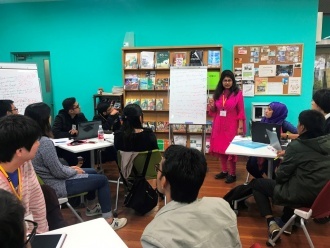 Kyutech invited nine students, one researcher, and one professor from University of Dhaka, University of Rajshahi and Shandhani Nursing Institute for international exchange program. Bangladesh students and Kyutech students have been separated into three groups and had discussion about each topic before their arrival. After they arrived at Kyutech, Iizuka campus, they joined lecture about Design Thinking and group work about Sustainable society. Also they learned medical and education system in Japan from visiting Iizuka hospital and Tateiwa elementary school. In the latter half of this program. 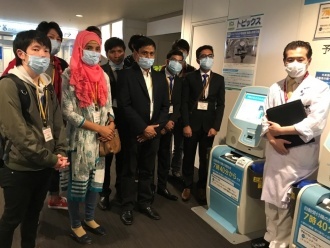 Bangladesh students joined lecture and group work abut “Portable Health Care”　and had final presentation at Kyushu University. 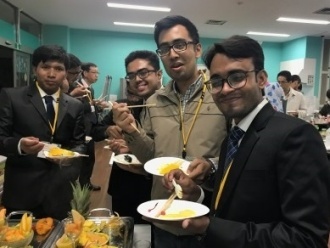 These experiences were fruitful for Bangladesh students and Japanese students.